PORTLAND, Ore. – From affordable home prices, low cost of living, good sports teams and plenty of recreational amenities, there are a wide variety of reasons people choose Portland vs. California but what about Portland Oregon Start-Ups? Yes, it’s true that over the last five years Portland has been leading other states with attracting more start-ups and now Venture Capital funding here is at a five-year high. This is thanks in large part to the competitive startup community which includes companies Columbia Sportswear and Society Nine but will Portland Oregon Start-Ups soon overtake Silicon Valley and be known as the new start-up capital of the west? Thanks to the increase in VC funding, Portland has become a highly attractive city for new companies to get their start including Society Nine, a new women’s sportswear company that was started by Lynn Le. Unlike other sportswear companies like Fabletics (co-founded by Kate Hudson), Le’s company caters specifically to women fighters with the goal of proving them with a way of getting the boxing gloves and gear that they need in one place without having to drive all over town to find accessories, clothing or gear that might fit them. “We believe in the sport heritage and culture of this city — sport innovation thrives here with Nike, Adidas and a new Under Armourresearch-and-development hub opening here soon,” Le said of why she was drawn to launch in Portland. Besides excellent VC funding opportunities, another great reason why many Portland Oregon Start-Ups are choosing our city is Google Fiber since the well-known company has said that they are bringing their lightning fast internet to the city and anyone who relies on the Internet to grow their business would be stupid to not want a Google Fiber connection. Google Fiber’s launch in Portland Oregon was recently delayed until sometime in 2017 but that’s not stopping the company from making their presence known in Portland and any start-up company, especially tech start-ups, will want to be around Google when it comes time to get VC funding. Over the last few years many people who moved to Portland from California in the early 2000’s are reaching out to their contacts and business associates because when compared to Silicon Valley, New York, and other major cities, Portland still has a low cost of living and it gets even better if you buy a home in the area because you can still find many homes here in the $300,000’s to $500,000’s range while comparable homes in California are listing for $800,000 to $1mil. After spending long days in their offices another great reason for Portland Oregon Start-Ups to launch their companies here is the excellent food culture which includes excellent restaurants like the Tin Shed Café to cool breweries like Culmination Brewing. The city also has a vast array of food trucks which offer cuisine that can’t be found in most of our restaurants and with warm weather expected in Portland over the next few months there’s plenty of time for you to explore food trucks like the Whole Bowl, Built to Grill, Hungry Hear Cupcakes, and Mississippi Marketplace. 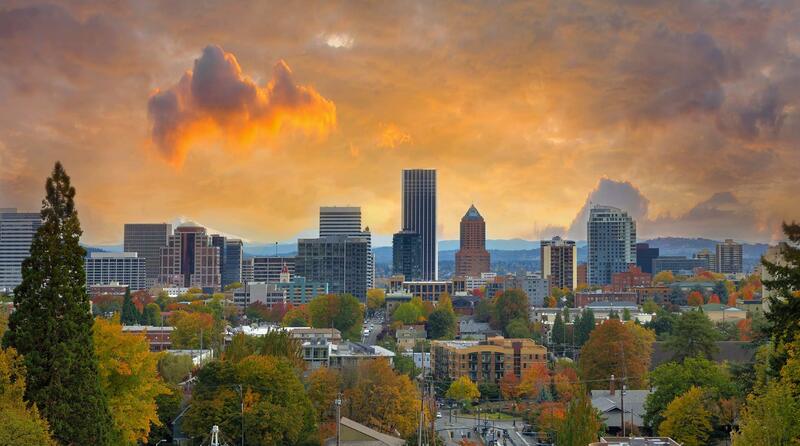 Now that you know Portland Oregon Start-Ups are thriving here thanks to our awesome VC scene, did you know that Portland is also an ideal city as well for owners and real estate investment? Over the last two years rents have continued rising and now the average rent in Portland Oregon is topping $1,700. When you combine high rents with an even high demand for Real Estate in Portland Oregon there’s no reason why any investor wouldn’t want to add a Portland Rental Property to their investment portfolio, especially apartment buildings, which have been in high demand here. 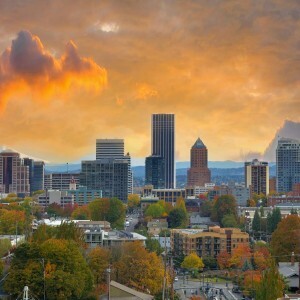 To learn more about Portland Oregon Start-Ups, or professional and affordable Portland Oregon Property Management contact Property Management Systems today by calling us at (503) 515-3170 or click here to connect with us online. We know Portland Oregon and can help you attract the right tenants and professionally manage your rental property each month.